Set of three pocket crystals. 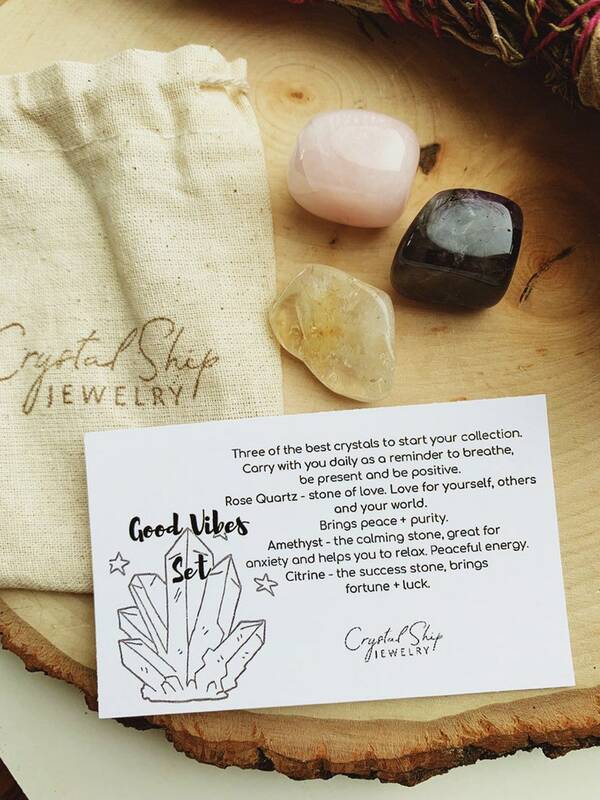 The Good Vibes set consists of 3 small tumbled stones: Rose Quartz, Amethyst and Citrine. Perfect size to carry with you for positive energy and protection. Comes in small carrying pouch.